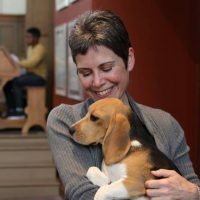 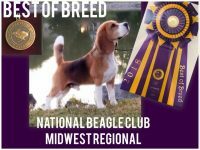 We take great pride in raising smart, loving, and good quality beagles. 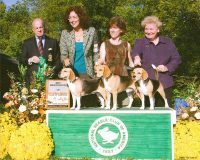 Our beagles are indoor/outdoor dogs. 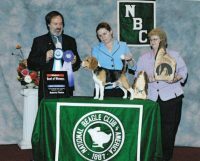 They get plenty of attention from our family and are very spoiled. 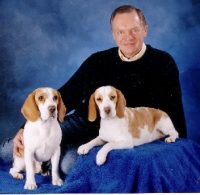 Our beagles have a big fenced in yard and stay inside as much as outside. 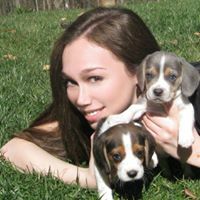 They are great with kids and have excellent personalities. 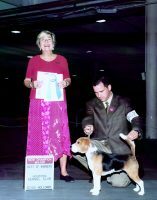 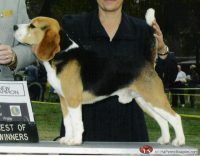 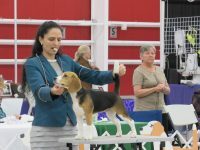 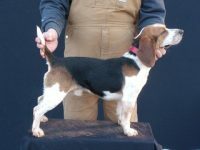 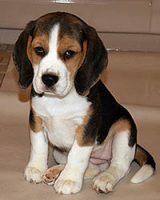 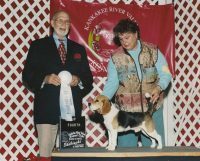 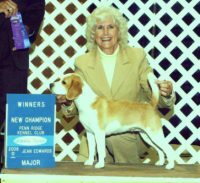 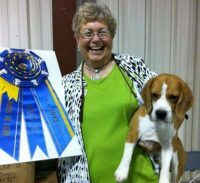 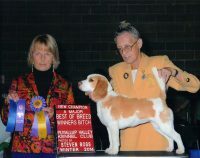 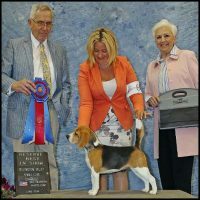 All of our beagles are AKC registered and have show champion pedigrees. 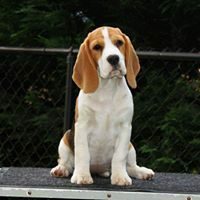 Our puppies are raised inside and are handled everyday from the day they are born.